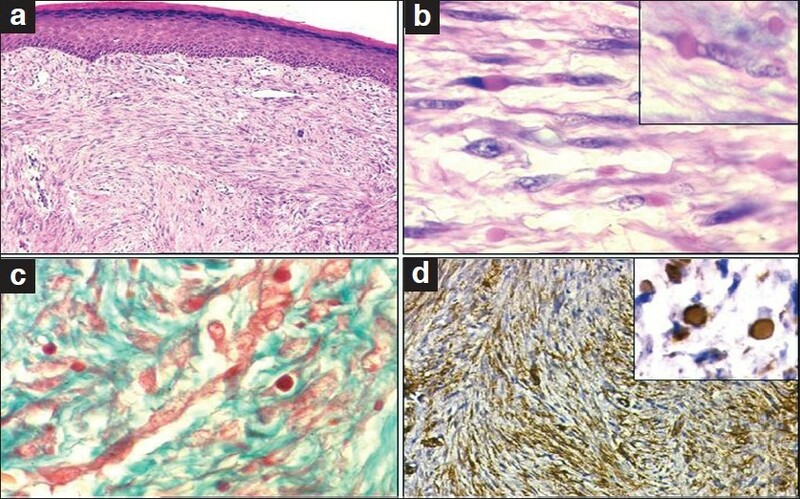 Figure 1: (a) Subepidermal proliferation of spindly myofibroblastic cells in sheets and fascicles. [H and E, ×200]; (b) Paranuclear eosinophilic inclusions within the spindly cells. [H and E; ×400] Inset highlights the discrete paranuclear inclusion [H and E, ×1000]; (c) Special stain highlights several red inclusions [MT, ×1000]; (d) Diffuse SMA positivity in tumor cells. [DAB, ×200] Inset highlighting SMA positive inclusions [DAB, ×1000].